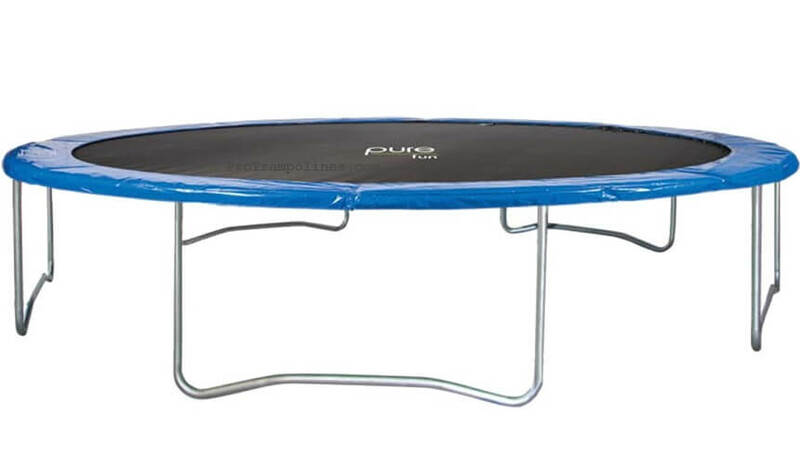 As this trampoline feels very sturdy (more than anticipated), only 3 support legs scream for attention as there is high risk of flipping over, especially when jumpers weight more than 200 lbs. 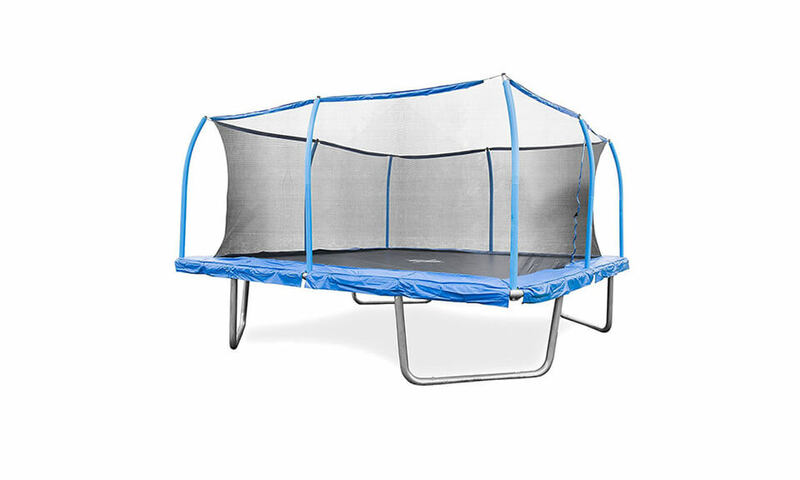 Frame: Frame is made from galvanized steel connected & supported by three W-shaped legs. 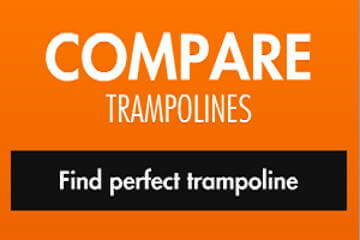 Stability, as with all 3-leg trampolines, is not great, but is satisfactory. 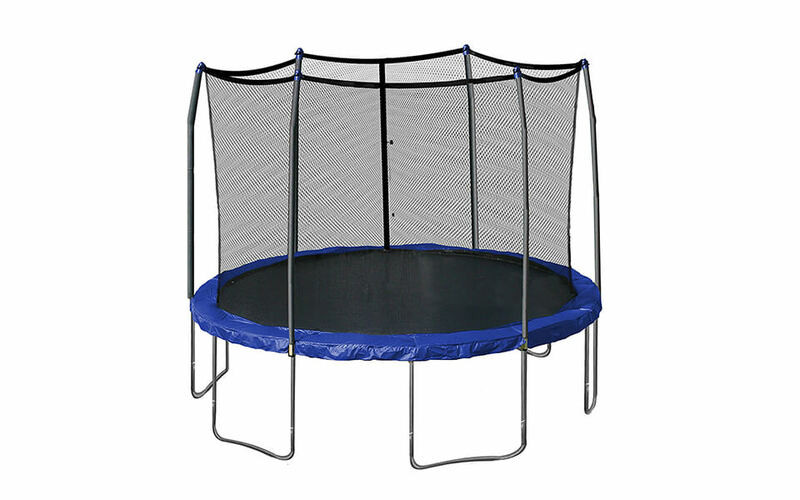 Mat: Made from PolyPropylene mesh, is heavy duty product but it will not give you very high bounce. 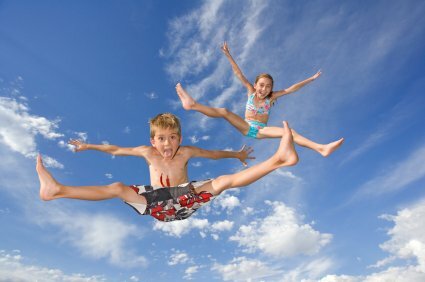 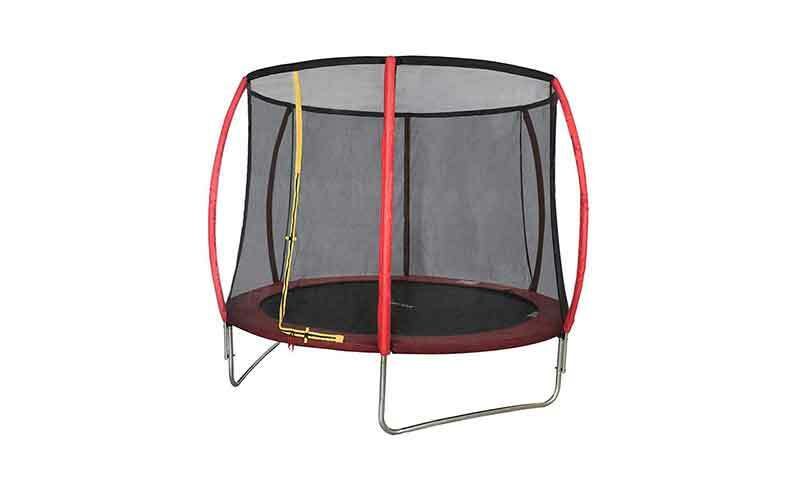 Great for first-timers or smaller children but not so great for somewhat experienced jumpers. 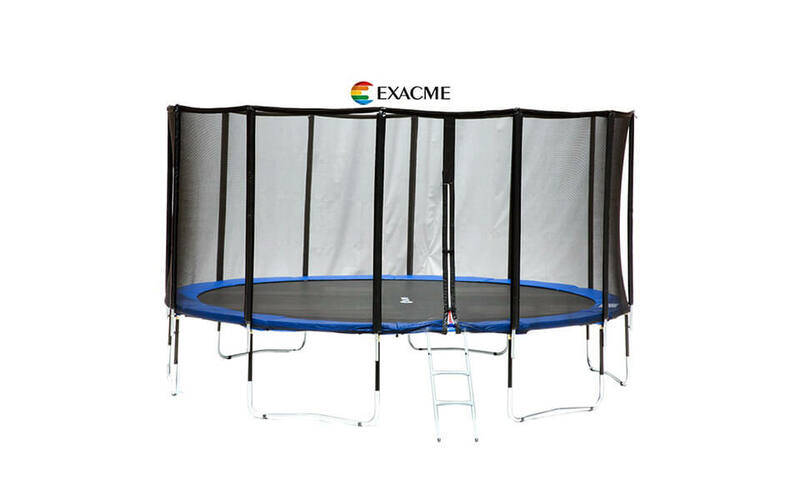 Enclosure: Merax trampolines comes equipped with security net, giving you peace of mind that nobody will fell of trampoline. 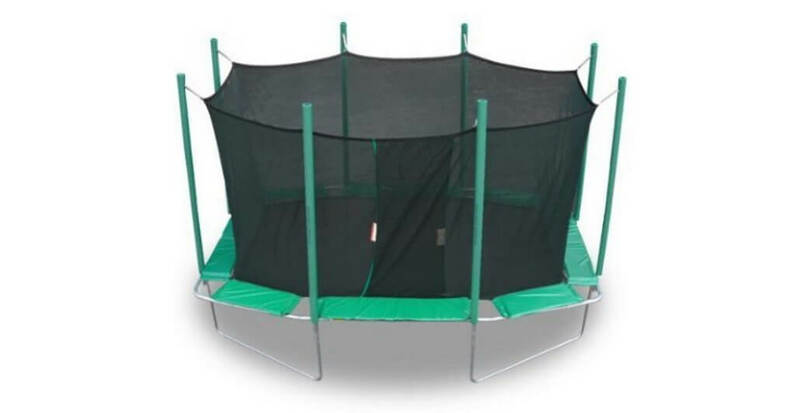 Total height of enclosure is 6.2 ft, measured from mat. 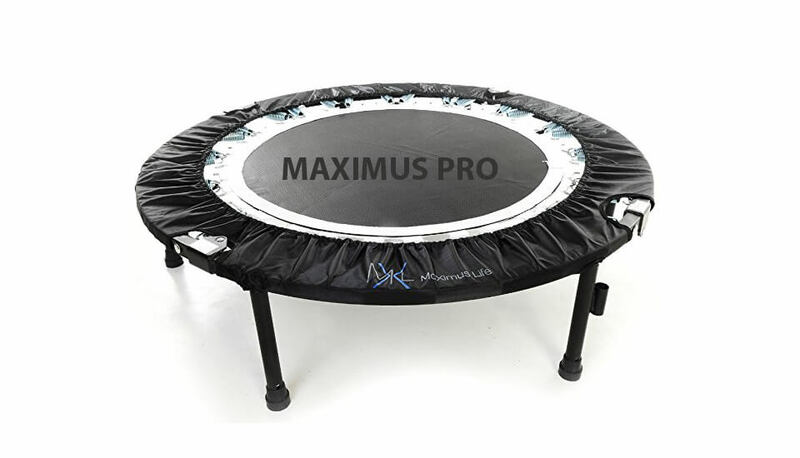 Padding: Filled with thick foam + PVC outer coating, which is waterproof. 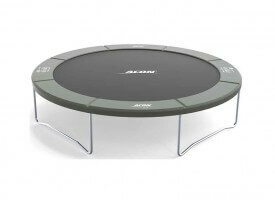 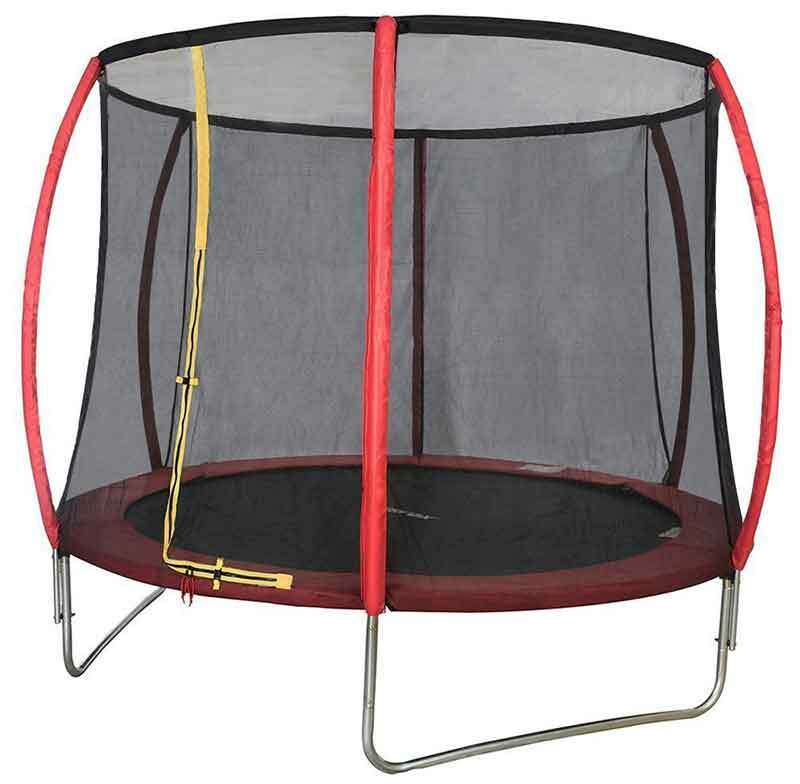 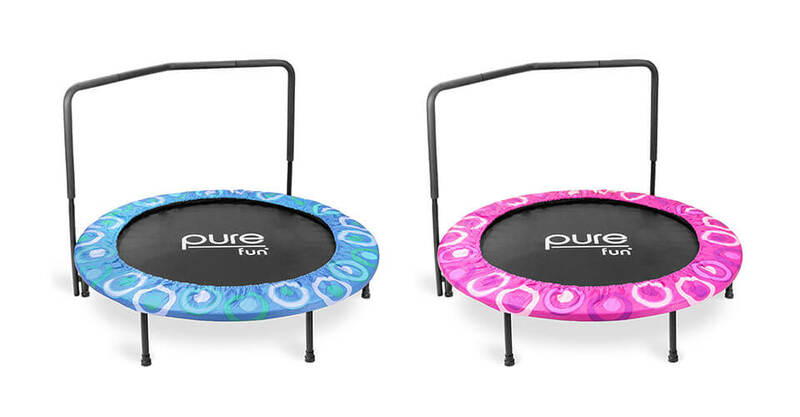 Comes in red color making it look a bit different than other home trampolines. 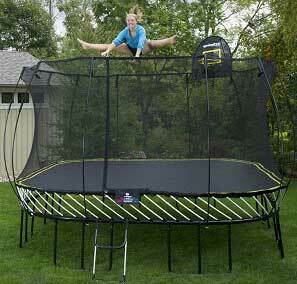 Assembly: Assembly can be done by one person in 2 hours. 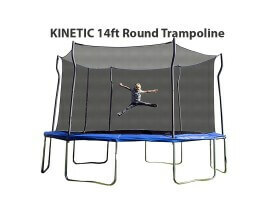 Dimensions of assembled trampoline are 10 x 10 x 8,2 feet while height of trampoline without enclosure is 1.97 ft, or just above 8 ft with enclosure. 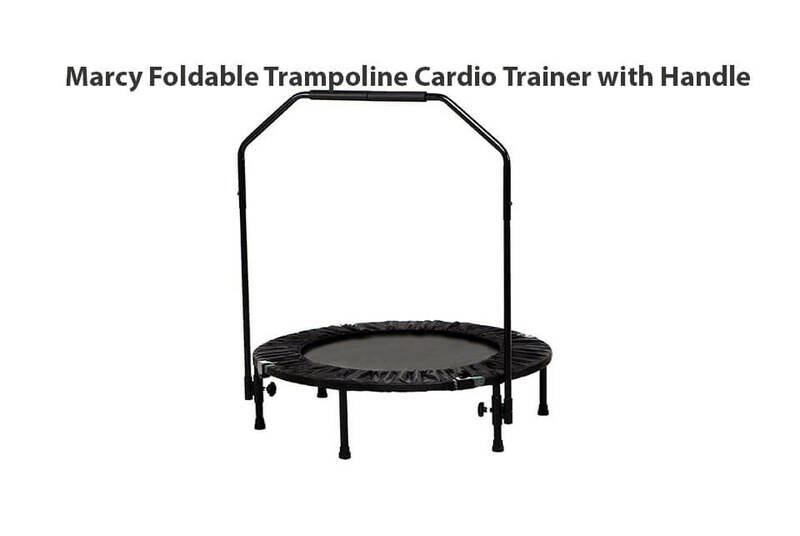 Warranty: Trampoline comes with one year limited warranty on all parts. 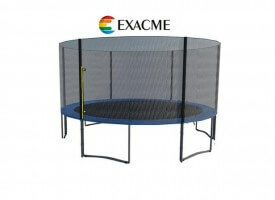 New manufacturer, no info on product durability.